For visitors wanting to get off the well beaten tourist path and escape to a part of Peru that has changed little over the last 500 years then a trek through the spectacular scenery of the Lares Valley is a must. This remote and rarely visited region offers the trekker an insight into the real lives of the Andean farmer, dressed in their traditional brightly colored ponchos. 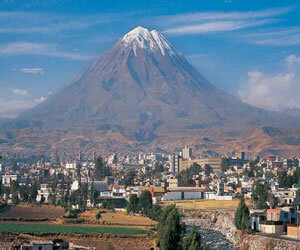 You'll have the opportunity to see thatched stone houses surrounded by herds of llamas and alpacas. Inside the houses you'll see guinea pigs running loose and finally in this tour, you will feel very remote and far from any crowds and to take relax after the Inca Trail, Salkantay or any harshest hike but this is highly recommended for all the visitors while you will be surprised once you visit the thermal baths which are completely natural water comes from the ANDEAN mountain.. This water is recommended for the treatment of rheumatic disorders, traumatic disorders (arthritis) in treating fractures, bone and joint pain, muscle pain, stomach ailments, etc. 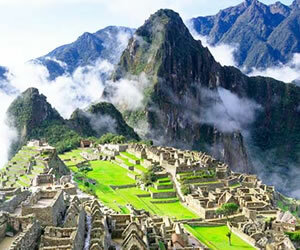 Of the last few years this trek has become more and more popular especially since the number of trekkers on the Classic Inca Trail has been limited and permits are selling out 5 or 6 months in advance. 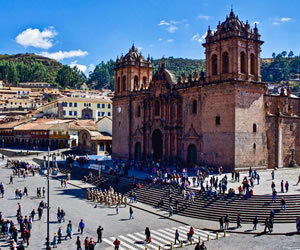 The advantage of this trip is that permits are not required and, in theory, if you have 1 day free in Cusco, we suggest you book the trip in order to enjoy the beautiful landscape along the way starting from Cusco passing the Sacred Valley and by the banks of the Vilcanota River even passing green valleys, tranquil mountain lakes and high passes, with breathtaking views of snow-capped Andean peaks rising to justunder 6,000 meters. Our route takes us through many small village communities that offer a rare & fascinating insight into traditional Andean life. There are several variations the small Andean communities that are visited along the way are famous for producing high-quality handmade textiles using natural dyes. Most tours include a chance to see weaving taking place; you may even be given the opportunity to have a go yourself!! Try to take some extra cash on the trek you can buy some of these beautiful textiles for a bargain price direct from the weaver. Eco-tourism doesn't get any better than this…It has personnel hired by the Provincial Municipality of Lares, for maintenance and cleaning. His condition is good. The hot springs of Lares are located north on a paved road with gentle ascents and descents, passing through the towns of Pisac and Calca. From this point makes a detour to the right by an unpaved road. 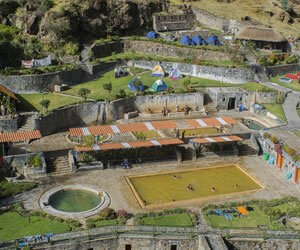 The pools of hot springs are located about 300 meters from the town of Lares, the area is called Q `oni unu (hot water). 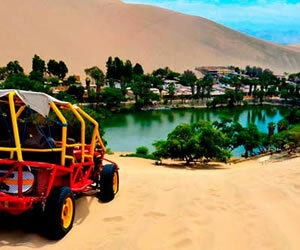 It has 6 pools with varying temperatures to the delight of visitors. The hot springs of Lares are located at 3,250 above sea level, and are a tourist attraction in the area, temperatures range between 36 º and 44 º C, the outcrops of medicinal mineral water have the following chemical composition: Calcium, Magnesium, Sodium, Potassium, Chloride, sulphates, bicarbonates, Iron, Manganese, Zinc, Boron, Copper and dissolved solids, have a yellowish tinge, here we find the presence of stalactites and stalagmites at the entrance to the baths. There are 4 pools the first has a temperature of 41 º C, is supplied from the main waterhole combined with cold groundwater with surface temperature of 17 ° C. This pool has a dimension of 5 meters long and 3.50 meters wide and 1.50 meters deep. The second pool has a temperature of 35 ° C, its size is 6 meters long and 4 meters wide and 1.5 meters deep. The third pool has a temperature of 38 ° C, its size is 15 meters long and 8 meters wide and 1.5 meters deep. Along the way you will met many people, specially kids walking long distance to arrive at school and study 5 hours and they back home after maybe 30 minutes or 2 – 4 hours depending how far they live from the school. Normally they are son or daughter of poor farmers living on the mountains. We strongly recommend help us to give some present to them like pencils, notebook, dictionaries, toys, clothes (socks, gloves, hat, t-shirt, etc) and something to eat. We don't recommend giving them things like candies, chew gun, soda, camping knife or money. If you really like to make picture of them, especially of adults we strongly advise you to ask first. If you don't speak any word of Spanish language (español) coordinate with your guide to see if is possible to have picture of them. Local people don't permit take picture of them, because they believe you taking their spirit on your camera. A small daypack to bring all your personal stuff. Sun protection: Hat, Sunscreen, Sun glasses. Light pants or any short, personal medical kit. Original passport, extra money for any souvenirs, drinks and tips to your staff and for Lunch. We will pass to pick you up from your Hotel between 4:30 am to 5:00 am transfer through the sacred valley, archaeological remains, Andean markets, cultivated Inca terraces, small villages, and then pass the highest point of this trip know HUACACASI (4450m), from here downhill to Lares valley (3250m), where we have time to enjoy the thermals baths. Here will have plenty of time to explore this ancient beautiful village of the town then, after our delicious lunch and dropped off our camping stuff at the hot spring, we will go to fish to the river of Trapiche and Wasamayo with some local people and if we are lucky, we can catch some trout's to eat this day so this adventure tour will takes us about 2 hours and between 5 to 6pm, we will return to our camp site to take some hot drinks like coffee , black tee , etc , etc then, we will be able to enjoy again our thermal baths until about 9:00pm, Camping in double or single tents. Along the way you will be able to observe small Andean communities, spectacular mountain landscapes, herds of llamas and alpacas plus Campesinos (people of the local villages) in colorful costumes as is traditional with all villages around Lares major district. After our delicious breakfast, we will be energetic country breakfast and then we will leave in our private transport to Choquecancha located to the east of Lares where we will appreciate some ladies waving some clothes , souvenirs using the typical wool of Lamas and Alpacas and natural painting taken from some trees…After this activities , we will be able also to visit some schools to learn see in what kind of conditions they study , how many hours they must walk to get their school , finally how many kids goes to the school per day , afternoon we will have to return to Lares for our last lunch which can be purchased in any restaurant of the twon then aboard our private transport straight to your Hotel in Cusco. Extra drinks like alcoholics or any mineral water. Tips for your crew: Driver, guide etc.